Hot on the heels of winning the reader-voted Q Award for Best Album, Noel Gallagher’s High Flying Birds have announced a UK arena tour for 2016, supported by special guests Super Furry Animals. The tour opens in Glasgow before visiting Aberdeen, Liverpool, Leeds, Birmingham and Bournemouth. It's been a pretty successful year for the more likeable Gallagher brother and his band. A worldwide tour and sell-out UK arena tour in March and a popular appearance at T in the Park and Latitude music festivals. The latest album award comes, as we've pointed out elsewhere, after Gallagher received the Q Icon award in both 2011 and 2013 from Q magazine. Yes, they really, really, really like Noel. The bands latest single ‘The Dying Of The Light’, taken from the album Chasing Yesterday, will be released 11 Dec. And to celebrate the release of this fifth single off the award-winning album, Noel Gallagher’s High Flying Birds will play a one off show at London’s Royal Albert Hall the day before, 10 Dec. 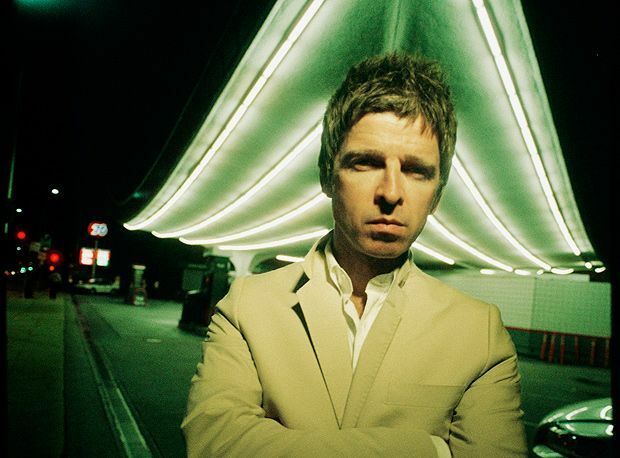 The single includes B side ‘The Girl With X-Ray Eyes (Demo)’ and will be available digitally and on 7” – with a limited edition coloured vinyl exclusively available from noelgallagher.com. Tickets will go on sale Fri 23 Oct at 9am. Post-Oasis indie rock from Gallagher senior who is happy to dip into the Oasis back catalogue to bolster his set.